Abby Maslin is a writer and a public school teacher. Through her speaking and blogging, she is passionate about bringing awareness to the challenges of traumatic brain injury and caregiving. She lives in Washington, D.C. with her husband and two children. "Written with the grace of a novel and the power of personal experience, this moving book is filled with humor, insight, and enormous love. Maslin's touching story brings both tears and joy and offers the inspiring hope that there is always a way forward." 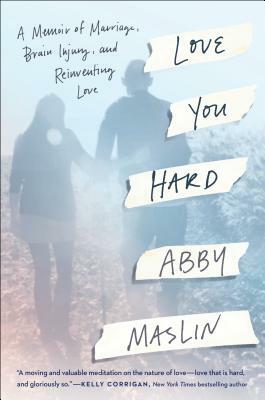 "Abby Maslin gives a harrowing account of how a fulfilling life and marriage can be upended in an instant … Love You Hard serves as a reminder that the most challenging aspects of relationships are also the most rewarding ones."